Save the date: Designing Women returns on Tuesday, June 11th, 2019. Honorees will be announced very soon! 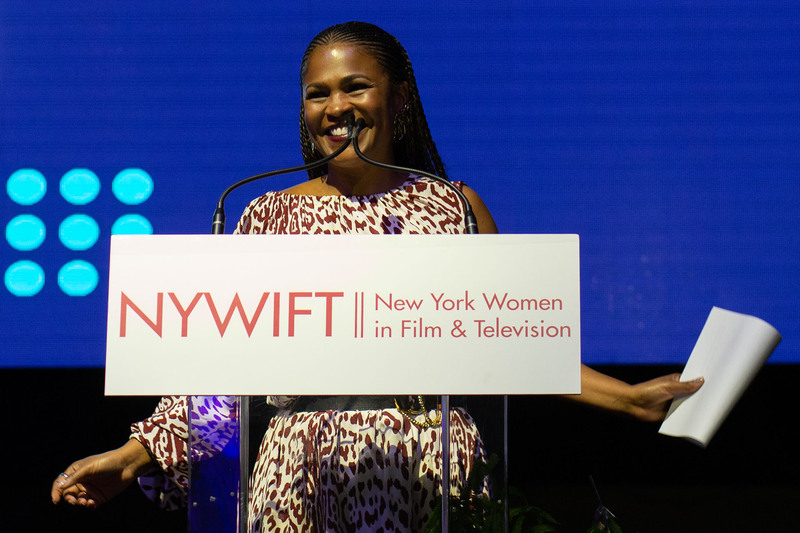 NYWIFT’s Designing Women, a leading New York City awards event, honors renowned costume designers, makeup artists and hairstylists in film, television and digital media. This unique showcase, co-presented by Variety, is attended by actors, producers, directors, writers, fashion industry leaders and, of course, designers. Proceeds from Designing Women benefit the nonprofit educational programs of New York Women in Film & Television. Designing Women includes the presentation of an award to a costume designer, a makeup artist and a hair stylist as well as the presentation of the Variety Ensemble Award to the entire costume, hair and makeup design team from a television series or a movie. The award presentations are accompanied by video interviews of the honorees and clips illustrating their work. At a reception following the awards ceremony, costumes, sketches, posters and stills illustrating the work of the honorees are displayed. Designing Women, celebrating the creative alchemy of design, character and story, is one of the most exciting events in the New York entertainment industry’s spring calendar! Presenter Nia Long at Designing Women 2018. The Variety Ensemble Award will be presented to the hair, makeup and costume design team from Amazon’s Mozart in the Jungle. Presenters included Christine Ebersole (Royal Pains), Maggie Gyllenhaal (The Deuce), Nia Long (Roxanne Roxanne), and Debra Monk (Mozart in the Jungle). Mark Feuerstein (Royal Pains), Elizabeth McGovern (The Chaperone), and Lena Waithe (Master of None) appeared via video.